Charlie Honchell has dedicated his entire 43-year career to the public works profession, and early on in that career he became part of the Minnesota Chapter of APWA (APWA-MN). Over the years, Charlie would go on to serve as president of APWA-MN and then as the Minnesota delegate to the APWA Board of Delegates. 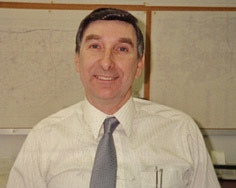 In 1988, Charlie was selected by APWA as one of the Top Ten Works leaders in all of North America. Charlie began his career in Pontiac, Mich., as the city’s assistant engineer. Shortly after starting, Charlie’s interest in being a good leader led him to convince his public works director to let him join APWA. It was at this time, that he started to realize the benefits of being a part of the association. After 10 years in Michigan, Charlie moved to Roseville, Minn., where he held the position of public works director for 15 years. He finished his career as public works director for the City of Bloomington, a position he held for 18 years. Charlie has seen major changes in the field of public works since he first started. He mentioned that workforce diversity is another way in which the landscape has changed. Across all genders, Charlie said he has been blessed with getting to work with positive, teamwork-oriented employees; something he says is essential in the workplace. “Only hire people who possess positive outlooks and have teamwork aptitudes. You can teach them technical skills, but it is very hard to change their perspective of life,” mentioned Charlie. Since retiring nine years ago, Charlie enjoys doing many of the activities that he didn’t have time for while working. This includes golfing each week, playing tennis, and bowling. He also spends a lot more time with his grandkids, and has been able to take adventures with his wife to places like Alaska, Fiji, New Zealand, Australia, and the Caribbean.